YouTube is an accessible, easy-to-use, mobile-friendly, universal platform for video sharing. And it's free! YouTube not only lets you host your videos for free, but it also provides online recording, captioning, and editing functionality for your videos as well. It's the easiest way to share videos, making it an incredibly valuable teaching tool. Check out YouTube's Statistics Page for the most recent analytics on YouTube usage from around the world. Video Manager: The page from which you'll need to upload new videos and access all the videos that you've already uploaded to your account. Channel: The homepage for a YouTube account. It shows the account information as well as all the videos that the account owner has made public. Users can customize the video layout and color of their YouTube channel. Playlist: A collection of YouTube videos that is easy-to-access from your YouTube account. Any video from YouTube can be added to your playlists. Subscribe: Users can subscribe to other YouTube accounts to be notified with those accounts upload new videos. Public video (Privacy Setting): Available to everyone on the Internet. Private video (Privacy Setting): Only available to specific YouTube members who you specify. Unlisted video (Privacy Setting): Available to people who have the link, but won't be returned in searches. Once logged into your account, click on the "Upload" button to access the YouTube Recorder. To record yourself in YouTube, make sure that you have a webcam/microphone connected to your computer. Then you'll click the "Record from webcam" link. You'll be prompted to allow access to your webcam/microphone settings. (See screenshot below.) And you'll want to be sure that you're getting audio (green bar on the right in the below screenshot) when you speak into your microphone. This will ensure that your audio and webcam will be recorded properly. Then you can click the "Start Recording" button. When you are ready to stop recording you click the Stop Recording button. You'll find the video in your Video Manager area of YouTube. If you are not near your computer, but you have your smartphone with you, then you can record your video and upload it to your YouTube account remotely. Suddenly the whole world becomes your classroom! You don't have to do the recording on YouTube. You can upload a video file from your smartphone or computer. Supported formats include AVI, WMV, FLV, MOV, and MP4. However you must own the copyright (or have permission from the copyright owner) to upload the video onto YouTube. If you've already got the transcript for that video, then you can upload the transcript as well, and let YouTube do the automatic syncing of the text to the video. If the audio quality of your video is sufficient, then YouTube will show the option to turn on the machine-generated automated captions for your video. They can be edited in YouTube, so that they accurately match the audio. If the audio quality of your video is not sufficient for the automated machine-generated captions, then you'll need to upload a text transcript (a .txt file with the typed out audio) to YouTube. The text transcript gets automatically synced to the video, and it can be edited in YouTube if changes are needed later. The captioning options above will only be available to you when you are accessing the videos that you yourself have uploaded and/or recorded. Since copyright law prevents us from altering videos that we do not own, we cannot legally caption videos that are not ours. This can pose a problem when finding the wealth of videos available out on YouTube for your courses, but then finding that they are not captioned. The two tools below, Amara and Overstream, allow you to add captions to videos without altering the original videos. The caption track is overlayed on top of the original video, and played along with it, so that captions get displayed but the original video is not altered. Amara (formally Universal Subtitles) asks for the URL of the video to which you are adding captions. Amara works with YouTube, Vimeo, and other video sites. 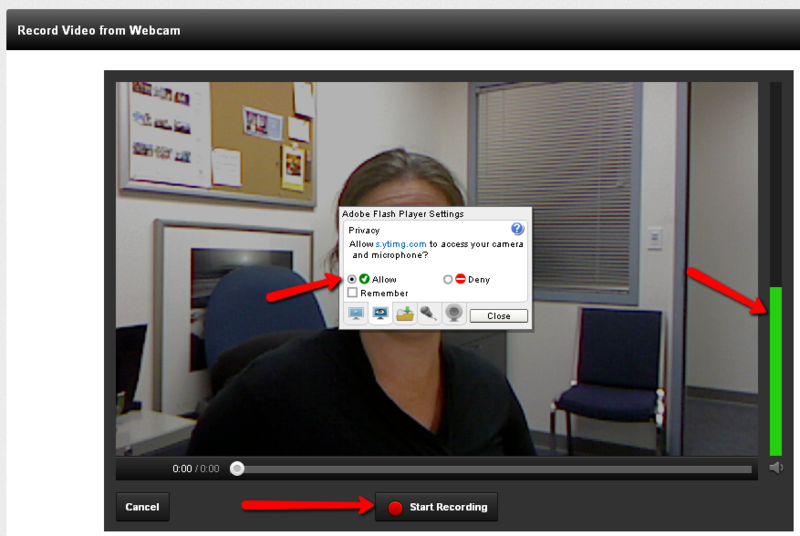 It allows you to add captions to videos that you'd like to make accessible on those sites. Here's a tutorial on how to use Amara. In addition to captioning and caption editing, there are other basic editing options available for your videos in YouTube including trimming video clips, adding visual enhancements, adding music tracks, and adding annotations (graphical callouts) to your videos. While there are several editing options available to you, we recommend a program like Camtasia Studio which will give you even more capability for your larger full-blown instructional media projects. Build Content > Mashup > YouTube Video: This option allows you to search for all public YouTube videos and embed them with the player directly into your Blackboard course shell. Students will be able to watch the YouTube video without ever leaving the page in Blackboard. If your video is set to Private or Unlisted on YouTube, then the Mashup tool will not find your video. Build Content > Web Link: This option requires the URL of the YouTube video to which you're linking. When students click the link they will be taken to the video on the YouTube website. You can also link to an entire YouTube channel this way, so students have access to all the videos on the one YouTube page. Build Content > Item: You can also manually insert the YouTube embed code into a Blackboard Item to get the YouTube video to play directly inside of Blackboard. YouTube EDU - Collections of education videos, organized by level, topic, course. YouTube Analytics - Get demographic, location, and viewer retention data on your individual videos. ViewPure - Paste your YouTube URL, and ViewPure will give you a URL to use without the distracting "related videos" that get displayed on the YouTube site. TEDed: Transform your YouTube video into a lesson which assesses the viewer. Check out our example of a TEDed lesson here: http://ed.ted.com/on/7H7bty42. Jing is a screencasting product that allows users to create short (5 minutes or less) recordings of the computer screen to share with students. Jing is a great tool for giving individual feedback to students because it allows the instructor to give audio comments on assignments that might be more visual in nature. Screencast-o-matic.com: Free browser-based (no download) screencasting and hosting service. Amara (formally Universal Subtitles): See above. Camstudio.org: Free screen recorder software for Windows.